All businesses operate under some kind of general business plan, which is intended to outline the overall goal of the business. Obviously, making money is the standard goal for a for-profit business, but the business plan needs to get into the specifics of how you are going to make that happen. Often, the biggest difference between a company that is successful and one that falls short is the quality of the business plan they start out with right from the beginning. A good business plan can go a long way toward success down the road. 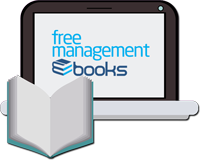 You can download business strategy books, templates and checklists from our website. However, once the business is up and running, it is easy to lose track of that plan or purpose for the business. There is so much to do on a daily basis that it is easy to forget about the plan and get lost in the details of the daily routine. This is a dangerous mistake for any business or organization to make. When the daily activities that take up most of your time are no longer aligned with the vision that you have for the future of the business, you are going to have a hard time reaching your goals. Staying on track requires a close connection between long-term goals and short-term activities. This is where the MOST Analysis tool comes in handy. The idea behind MOST is that it will help you to organize your activities in support of each other so they are all heading in the same direction. Without this kind of cohesion between your activities, the future can suddenly look bleak. The tool is meant to work from the top down, with each successful point becoming a little more specific as it goes. Let’s take a quick look at each of the four elements of the MOST Analysis tool to better understand how they can drive your organization forward. Basically, this is the main purpose of the business plan that we discussed above. It should be the top-level, overall reason for being in business in terms of what you want to accomplish. The more specific that you can be when defining your mission, the more success you will have later on trying to define the remaining points within the tool. For example, imagine that you own a dry cleaning business. You could state that your mission is to be the best possible dry cleaning business that you can be and impress each customer that comes through the door. That might sound good, but what does it mean? Those kinds of goals won’t really give you any direction to go on. Instead, something like being the top dry cleaning business within your city is far more attainable and tangible. If you are bringing in the most business and getting the best reviews in your city for dry cleaning companies, you will know you have reached your goal. Then, you can frame the rest of your thinking around trying to make this happen. Your objectives are one step down from your mission. Think of these are a collection of individual goals that will add up to reaching your overall mission. Just like with the mission, objectives should be specific enough to guide your decision making and planning for the future. 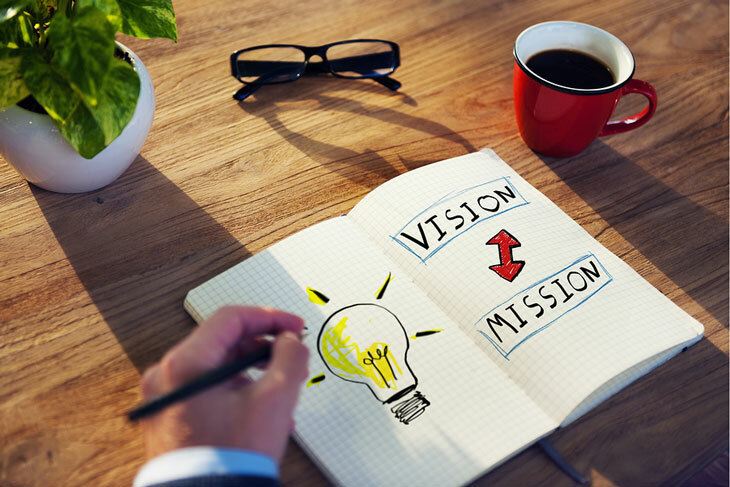 With your mission in place, it should be relatively easy to develop a list of a few objectives. To continue the previous example, you need to highlight objectives that will outline how you can become the best dry cleaner in the city. Some possibilities might be to grow sales by 5% each month, attract ‘x’ number of customers to switch from your competition, or receive a certain number of reviews online. Your objectives should be measurable so you can evaluate the methods you used to try and reach them and determine whether you have succeeded or not. The strategies that will work for your business are going to vary wildly depending on your market and target demographic. However, the idea is the same for any organization – build a list of strategies that further your pursuit of the objectives you have already highlighted. This is not a time to be vague. Your strategies should be specific and actionable. The final point in the MOST tool are the tactics that you will use to enact your strategies. Your tactics should be the specific details that will guide your daily activities. So, if you are going to run radio ads as mentioned in the previous example, some tactics would include writing a script, hiring a voice over artist, contacting radio stations, etc. Using your tactics to dictate your daily activities is the best way to make sure what you are doing today will guide you in the right direction toward your overall mission. There is a cohesion between each step along the MOST Analysis that is important and should be considered carefully. One step builds on the next, and that consistency is what makes this a valuable tool. Many organizations get lost somewhere between the mission and the tactics, so do a careful review of your processes to make sure that you don’t fall into that trap. As long as you are able to outline a logical progression for your business from one step to the next, the end result should keep you pointing in the right direction. 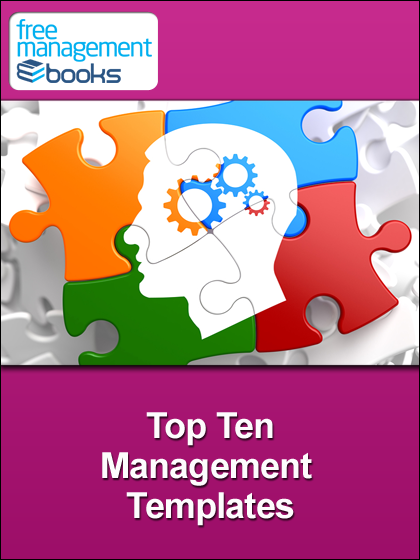 You can read more about MOST Analysis in our free eBook ‘Five Essential Business Strategy Tools’. Download it now for your PC, Mac, laptop, tablet, Kindle, eBook reader or Smartphone. MOST Analysis is a simple framework tool for analysing or planning the detail of what an organisation does. It helps you frame questions, starting from the high-level mission of the organisation and digging right down to the detail of individual tactics. MOST stands for: Mission, Objectives, Strategy and Tactics. Objectives start with the translation of the mission into overall intent that drives the strategy process. Strategy includes the high-level decisions that shape what is done and how. 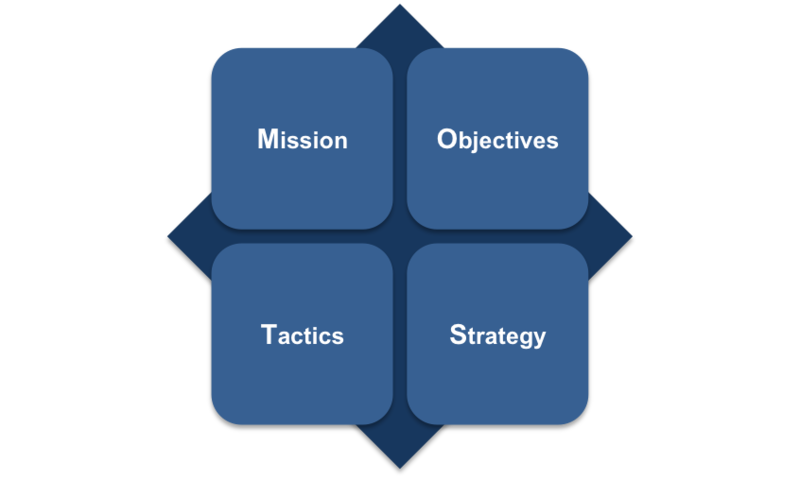 Tactical planning takes strategic decisions and figures out how to implement them in practice.